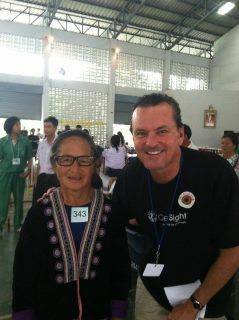 Dr. Hults is visiting Thailand with OneSight. The first week was a huge success, the team was able to help 3,900 Thai people including one gentleman who received glasses from Dr. Hults' friend Mac Donley. The second week will include 4 more clinic days.